Welcome to the Handprint the Alphabet series for kids! We’re looking to learn and get creative with our preschoolers this summer. 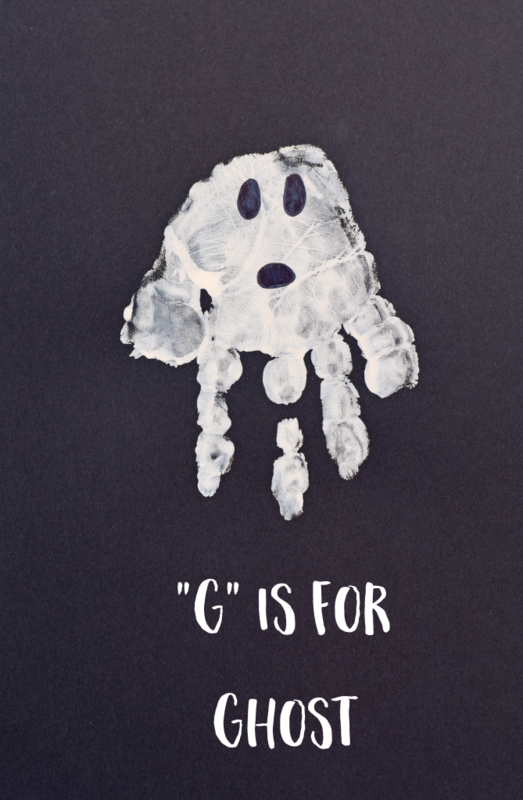 Today is letter “G.” While there are lots of objects we could do, today, “G” is for ghost! My boys are just at the age where they can comprehend a bit about “spooky” things, and that includes ghosts! Today’s project involves painting the entire hand. And, good news- there is very little extra adult artwork for this one! Be sure to pop over and check out my Tips for Great Handprint Art with Kids post if you’ve never done handprint art with preschoolers before. I share a few pointers plus my go-to supplies! Apply a thick coat of paint to the entire hand. Lay the hand in the center of the paper. The fingers are actually the bottom of the ghost, so keep that in mind when centering the child’s hand. Let the paint dry completely. 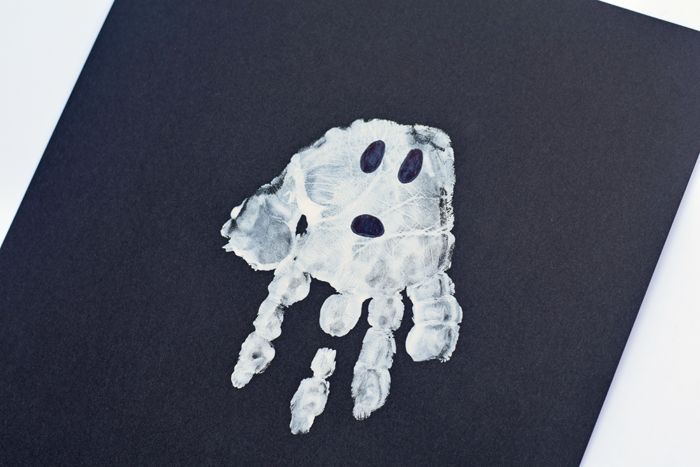 Use the black marker to draw eyes and a mouth to create a face for the ghost. Thanks for following along, and I’ll see you back on Monday with the letter “G!” I’d love to hear if you are joining in on the series with your kiddo. Feel free to post photos on my Facebook wall or tag me on Instagram!